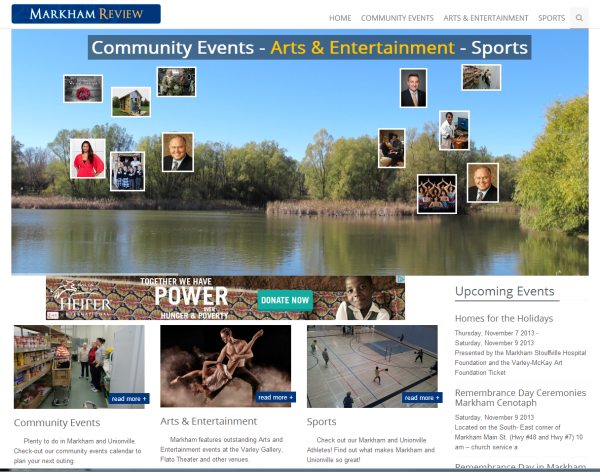 WCG:ITX developed the online edition of the Markham Review in October 2013. The project uses the WCG:CMS product to allow the Markham Review staff to quickly upload new stories, images and manage issues. To get the project started, we created a prototype on the wcg-itx.com server. We then imported nearly 200 stories from their existing website, provided services to upload articles from their current issue, and migrated their URL names (markhamreview.net and markhamreview.com) to the new server. Content Tagging, allowing visitors to quickly locate related articles about a place, person, or event. Upcoming Events, keeping visitors up-to-date on upcoming events, including when and where the will occur. HTML 5 Slide Show, featuring icons from current issue articles. We're proud to report that the entire project took 30 days to complete.